The Legend of Zelda: Breath of the Wild contains many classic Zelda items, such as the Bombs in the form of the Bomb Rune, the Boomerang in the form of various boomerangs you can find scattered across Hyrule, the Bow as main item alongside your sword and shield, and even the Fire and Ice Rods. However, one iconic Zelda item has not shown up in Breath of the Wild: the Hookshot, an item that first appeared in A Link to the Past. 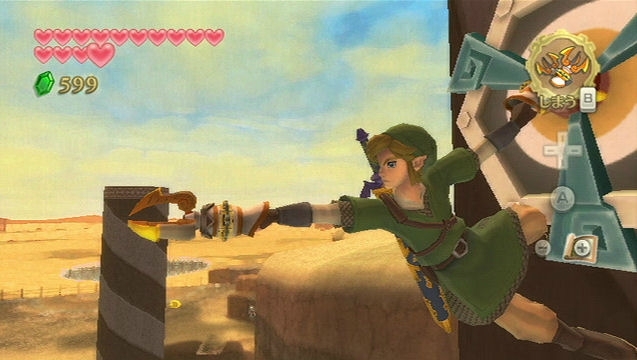 The Hookshot is an item that pulls Link to whatever object it’s aimed and fired at, somewhat like a grappling hook. It has appeared in several Zelda titles since its creation and has spawned several variants such as the Clawshot, Gripshot, Longshot, and Switch Hook. It sounds like including the Hookshot would have affected Breath of the Wild‘s climbing mechanics.